Veteran writer, cook, and knife expert Chad Ward says buying good knives doesn’t have to break the bank. A good chef’s knife, a paring knife, and a bread/slicing knife will do just fine. Buying a knife: It’s the most important decision you can make in the kitchen. And everything you know is wrong. As L.A. Times food editor Russ Parsons put it, “There are only two really important decisions in a cook’s life: choosing a mate and buying a chef’s knife. If that seems like an overstatement, you just haven’t found the right knife.” When you are ready to outfit your kitchen with really good knives, you will be inundated with well-meaning advice from magazines, friends, passionate cooks, and kitchen-store clerks. Unfortunately, most of it is outdated, incomplete, or just plain wrong. Advances in manufacturing processes, steel composition, and the technology of kitchen gear make the common wisdom about kitchen knives look like medieval dentistry. Mismatched handles in the knife block or kitchen drawer are the sign of a self-assured cook. So how do you pick and choose among the yards of glittering hardware? And more importantly, can you do it without missing a car payment? Absolutely. Here are a few tips and tricks that will allow you to bring home knives that will not only feel like an extension of your hands, but will also get you a nod of respect from any serious cook who walks into your kitchen. 1. Don’t be a blockhead. You need two knives. Three, tops. You can do anything and everything you ever need to do in a kitchen with a chef’s knife and a paring knife. Throw in a decent bread knife and you’ll rule the world. Do not buy the big, pre-assembled block of knives with more pieces than the London Philharmonic. Spend the same money on fewer, higher- quality knives. A good kitchenware store or (if you are very lucky) specialist cutlery shop will have everything in open stock so you can mix and match as you please. You can buy a block or other storage system separately. Think of assembling your knives as putting together a good home-entertainment center. You could purchase everything together in a convenient set, but as any audiophile worth his $100 speaker wire will tell you, different manufacturers have different strengths. Same thing with knives. You might like the chef’s knife from one manufacturer but find their bread knife too short for the artisan loaves you routinely bring home. If you cook a lot of vegetables or Asian-inspired cuisine, you might be able to do everything with a thin Japanese vegetable knife or Chinese cleaver. Remember, mismatched handles in the knife block or kitchen drawer are the sign of a self-assured cook. 2. The Big Three. Start with a chef’s knife, a paring knife, and a bread/slicing knife. You need a chef’s knife at least eight inches long. Anything shorter won’t reach all the way across a pot roast and will make your job a lot harder than it needs to be. New cooks are sometimes intimidated by larger knives. Don’t be. That feeling passes in less than an hour of use. A chef’s knife is the first knife you pick up in the kitchen and the last one you put down. You can do everything from portioning steaks to a basil chiffonade with it. If you have $200 to spend on knives, $100 to $150 of it should go toward your chef’s knife. It’s that important. You need a good 3 to 4 inch paring knife. This is the microsurgery version of the chef’s knife. Paring knives are used for delicate tasks like scoring orange peels, coring tomatoes, removing eyes from potatoes, hulling strawberries—any time a chef’s knife would be unwieldy overkill. Your bread knife or slicing knife should be at least 10 inches long. If your budget is tight, spend the majority on the chef’s knife and paring knife. You can get a decent serrated bread knife from a restaurant-supply store for less than $20. Use it until it goes dull then buy another. Serrated knives are the disposable ballpoint pen of the knife world. That’s why you generally don’t want the too-short, overpriced bread knife that comes with most block sets. On the other hand, if you are feeling flush and don’t mind spending a little extra, a 10-inch scalloped (rather than serrated) knife can do double duty as a bread knife and meat slicer. Scalloped edges are gentler than serrated edges and leave a cleaner cut. As a bonus, they can be re-sharpened almost as easily as a regular edge, a major advantage over serrated knives. 3. Ignore the marketing drivel. Walk into any kitchen store and announce that you want to buy a knife and you will be immediately assaulted with the mantra drilled into every store clerk by the regional marketing rep. You need a forged knife. It should have a full bolster (for safety!). It must have a full tang (your sign of quality!). At one point in history (somewhere in the 14th century), some of this was actually true. Most of it never was. Modern manufacturing technology has made the way in which a knife is shaped—forged versus cut or ground into shape—irrelevant. Today’s super-steels are fully forged at the foundry. There is no need to repeat the process to deliver a quality knife. Similarly, while you might like the aesthetics of a knife with a full tang (the tongue of metal that extends back from the blade), it is just a means of attaching the handle and doesn’t make much difference in your kitchen. Proponents suggest that a full tang with a riveted handle is stronger and more durable. History says otherwise. Knives and swords like the Japanese katana, the Viking scramaxax, and the American Bowie knife—blades designed to cut through rope, leather, and armored people—all had skinny tangs hidden inside the handle. Unless you are using your chef’s knife to debone a Buick, the tang won’t make a bit of difference. Bolsters, the thick collar of metal between the blade and handle, do keep food from getting into the handle. However, they are not a safety device, and, in fact, make it much more difficult to sharpen your knife properly. In short, ignore the store clerk and “helpful” marketing materials. 4. So what is worthwhile, and what does it cost? A good chef’s knife runs from just under $100 to over $200. However, if you are just getting started or need to equip a beach house or lake cabin and don’t want to spend a lot of money, the Forschner/Victorinox 8-inch chef’s knife is about $25 at your local restaurant supply. These knives, made by the Swiss Army knife people, are the bargain of the century and will easily keep you going in the kitchen until you are ready to upgrade. For those with a little bigger budget, skip the major big box and department stores. Specialty retailers and online sources like Epicurean Edge, Knife Outlet and Chef Knives to Go offer greater selection. For those who prefer the heftier European-style knives (think Wüsthof, Henckels, and Sabatier), the Messermeister Meridian Elite series offers more comfortable handles and better edges than their more well known competitors for the about the same price. For those who like the sportier, more lightweight Japanese-made knives that have taken the professional cooking world by storm, the MAC Professional series is hard to beat. They are screaming sharp and can take the harsh abuse of a professional kitchen. In a similar style, knives by Global and Shun have better distribution so are easier to find in retail stores. They tend to be pricier than the MACs, however. Messermeister, MAC, Global, and Shun all offer paring knives to match their chef’s knives. Most even offer a two-piece starter set at a discount. Well worth looking into. Serrated bread knives can be found for less than $20 at your local restaurant supply store. Scalloped bread knives are another matter. The two that really beat the price-to-performance curve are the MAC Superior bread knife and the Wüsthof Gourmet Super Slicer, each just under $70. That’s a little steep for a bread knife, but both considerably outperform the more expensive knives found in standard knife-block sets. There you have it. You are now prepared. You know that the old advice about forged, full tang knives no longer applies. You know how to decipher, and largely ignore, the marketing doublespeak. And you know to stay away from the enormo-block set down at the local department store, and outfit your kitchen with fewer, higher quality knives instead. So what are you waiting for? 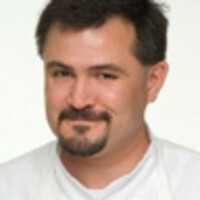 Veteran writer and cook Chad Ward is the author of An Edge in the Kitchen: The Ultimate Guide to Kitchen Knives, named one of Slate.com’s Best Books of 2008 and the Chicago Tribune’s Favorite Food Books of 2008. To date, more than 500,000 people have taken Chad’s online knife-sharpening class on eGullet.org. He lives in North Carolina.